Providers are largely excited about the Federal Communications Commission's efforts to boost telehealth adoption, though some warn the program needs detailed metrics for success, according to comments made in response to the agency's request for input on the Connected Care Pilot Program. Organizations praised the FCC's efforts to improve patient outcomes by expanding access to telehealth for low-income people, particularly veterans and those in rural areas. 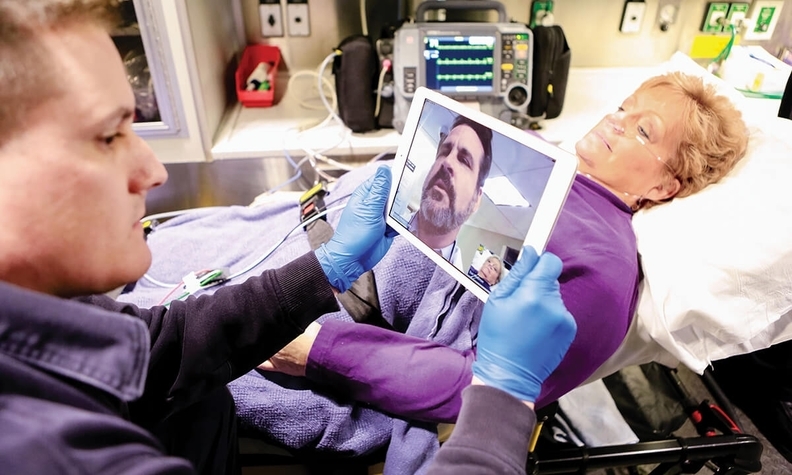 "Now that technology and telemedicine have assumed an increasingly critical role in healthcare delivery, patient connectivity is more important than ever," according to the College of Healthcare Information Management Executives. "The potential to connect more underserved Americans through the new Connected Care Pilot Program is therefore welcomed." The FCC announced the program in July 2018. The agency plans to allocate $100 million from the telecom-funded Universal Service Fund to encourage telehealth and virtual healthcare services for low-income people. The agency will give up to $5 million for any provider to create a pilot project to bring broadband to those people and to boost providers' capabilities. The program would add a crucial element to telemedicine success: broadband connectivity. The technology exists, and reimbursement is developing, so what's left is connectivity, said Nathaniel Lacktman, a partner and healthcare lawyer with Foley & Lardner. "You could have the fastest Ferrari in the world, but without gasoline, it won't go anywhere," he said. "You also need a smooth road, and that's what the FCC Pilot Program is intended to do." In its request for comment, the FCC asked how it should measure improvements in patient outcomes attributable to the program. "It is important that the Connected Care Pilot Program measure the impact of the remote monitoring interventions it supports," wrote Ashley Thompson, senior vice president of public policy analysis and development for the American Hospital Association. "However, we caution that program measurement should be kept simple and focus on proximal outcomes rather than distal outcomes." That could mean, for instance, tracking patients' remote-monitoring interactions along with their biometrics to assess whether the interactions led to improvements. The National Association of Accountable Care Organizations asked the FCC to try to use metrics that are already reported to assess the success of the program. "The Commission should work with stakeholders and measure developers to identify the most appropriate existing measures and if there are none, consider creating new ones," wrote Allison Brennan, senior vice president of government affairs for the organization. That request is in line with several requests to simplify the administration of the program. The National Association of Accountable Care Organizations asked the agency to make the application progress "as least burdensome as possible," and the AHA noted that "a pilot program that is too administratively burdensome will discourage [healthcare providers] from participating." The necessary paperwork for participating in the program in particular could be onerous, according to CHIME. The FCC might keep the application process simple by relying on a single application for the Rural Health Clinic and other new pilot programs. The FCC intends the Connected Care Pilot Program to not only serve low-income people and veterans but also people in high-cost areas. This is not wise, according to the Broadband Association, since the agency already subsidizes the cost of serving people in areas where broadband costs more through the Connect America Fund. It is wise, though, for the FCC to focus on communities regardless of geographic barriers, said Latoya Thomas, director of the State Policy Resource Center for the American Telemedicine Association. "There are so many possibilities, from keeping folks in their homes to really ramping up school-based activities." Comments closed for the Connected Care Pilot Program on the same day as did comments on the CMS' new Medicare Physician Fee Schedule, which included new Medicare rules for virtual care, telehealth, and remote-patient monitoring. "The new codes are good first steps to recognize the breadth of tools out there outside of video-based solutions," Thomas said. While many welcomed greater coverage of virtual care, some worried that the logistics of coverage could be burdensome. "To facilitate widespread adoption of new non-face-to-face services, the CMS should permit practices the flexibility to implement any new covered codes in a manner that best fits their practice and avoid overly restrictive billing requirements," according to the Medical Group Management Association. Additionally, while the multiplication of telehealth services might be beneficial, it could also lead to more barriers to interoperability, as separate systems with siloed data pop up, according to the American Medical Informatics Association.